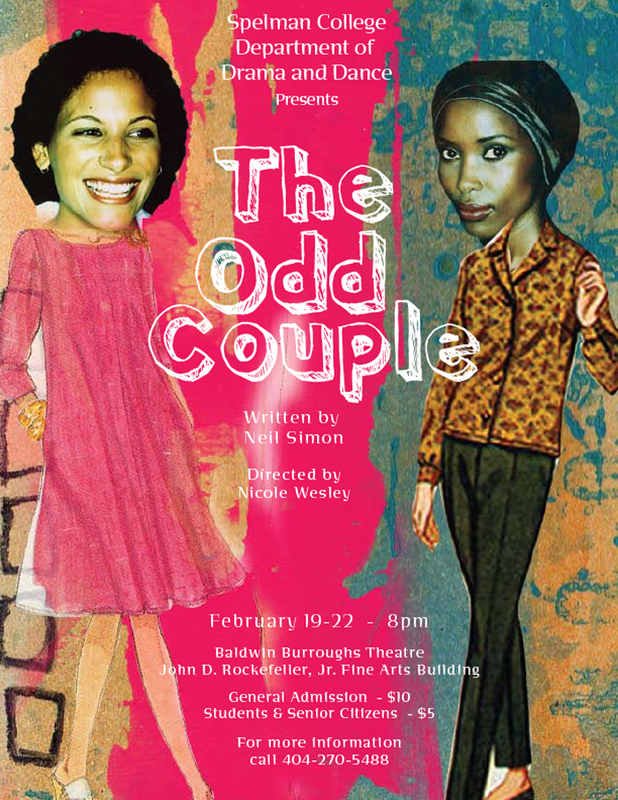 Challenge: Spelman College needed a poster for their upcoming production of ‘The Odd Couple.” Without a creative discussion with the director, the creative consult was brief but wanted to have that “Oscar and Felix look” that is synonymous with the duo. Solution: Considering the time Neil Simon wrote the original play, I wanted to play with the idea of traditional looks in opposition with more contemporary imagery. I found several images of Simplicity women’s clothing patterns and decided to make it a collage of sorts to illustrate the forced situation the comedy illustrates yet feature visually the dichotomy of the two central characters. Feminine and disheveled simultaneously.